4 responses on Uncharted 2 tomorrow! I had to chose, Uncharted or Ratchet and Clank, I had to go with Uncharted, awesome singleplayer experience, co-op modes and a hefty multiplayer-mode. Then I’m going for Brütal Legend! Jack Black awesomeness. 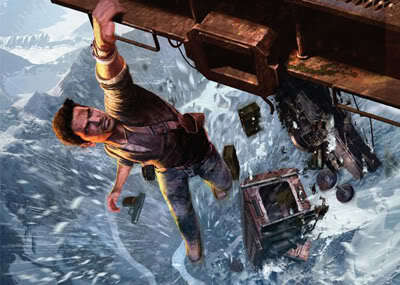 Yeah, between Uncharted & Ratchet & Clank I would also have picked Uncharted. For allt the reasons you said. But its fortunate that I don’t have to pick between them. I’m gonna wait a bit with Brütal Legend, might buy it in the future when I have some cash. Maybe we can play sometime when I have the cash for this. Like in 2 years ahead. Yeah, that would be fun man. Hopefully I’ll have some cash to. Without Gamestops trade in deals I couldn’t have gotten any games at all.